I love your blog! In the Tape deck picture, it's funny that it says "Automatic Radio". I'm with you about tearing down old buildings. I hate to see the history go down just for a parking lot, or an empty lot. 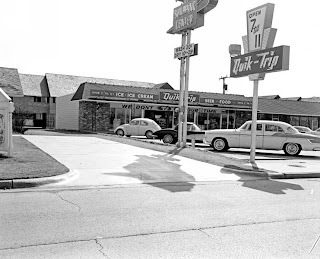 The frozen drink introduced there was the 'Icee' (not sure if Icee came before Koolee or after because both Quik Trip and Git 'n' Go first opened stores in Tulsa in 1958). Icee's slogan was: 'The Coldest Drink In Town'. I love that I stumbled across your blog. Southland was a happening place (still miss Big Mike's!) --loved Lerner's and Baker's Shoes and Clarke's!!! And Southroads was just, well, too cool. 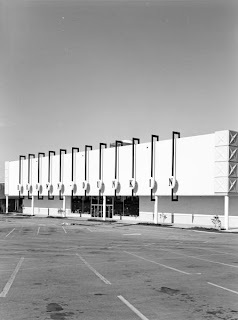 I also LOVED shopping at Another Point of View...remember Fannie Farmer's Candy and the restaurant at Vandiver's that looked out on the mall? I can vividly remember my mom taking me shopping at Stewart's and Extension One before starting 9th grade. She spent $100 on my wardrobe. Happened onto your blog through the Webster site, I didn't attend Webster, I did attend Clinton JH, we moved to the Rogers district just after 9th grade. I love the pictures and memories. I wondered if you have found any pictures of the old Picadilly Cafeteria downtown? My father worked there as the assistant manager for about 6 years. I am a TUlsa boy born and raised, now 55. Would like assistance through history society researching my grandpa, Marshall O. Hart, Tulsa County Medical Examiner in the 50s with his medical practice practice now underneath Blue Cross building...Can you help? I lived in the Old Village Apts. 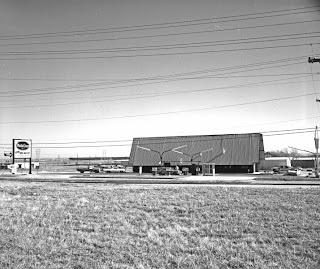 @ 41st and Peoria in the late 70s and managed a Hemi's Pizza there...Brookside had it's own culture then. John, my best suggestion is for you to contact Ian Swart at the Historical Society and see if he can help. And if he cannot, then he will direct you towards who can. You can email him at iswart@tulsahistory.org or call him next Tuesday at 918-712-9484. 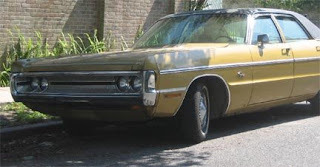 Hello, I'm not very familiar with blog sites but decided to try one, as I saw there are others out there as nostalgic as I am. I've lived in Tulsa all my life, I'm 48 now. Recently I was sorting through pictures and found photos I had taken inside the old Southroads Mall in 1995, right before they tore it down. I took the photos for nostalgic purposes, to preserve the memories. I have lots of great memories of that mall, going there with my grandmother and sister and cousins, in the mid to late 70's. In particular, I enjoyed eating at the Golden Horse restaurant over Vandever's. Does anyone have any photos of this mall or that restaurant they'd be willing to share? We never took pictures when we went shopping there, much to my regret all these years later. Thanks. 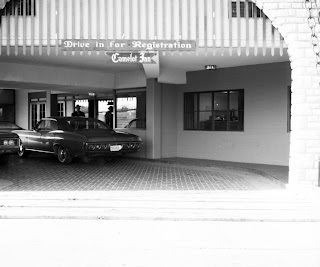 I would give anything to see photos of inside Southroads Mall - Another Point of view, etc..
Just Googled Utica Square shops and ended up reading this wonderful blog. I live in Finland but was a student at ORU from 1967 on. I also worked at the University Club until fall of 1970. 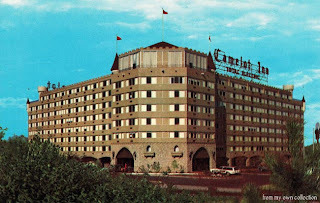 I have a lot of fun memories of Tulsa,and enjoy this blog very much indeed. I remember being one of the last customers at a rather big departmen store in downtown Tulsa which was then teared down the next morning. I've forgotten the name of the store,but remember clearly that a wrecking ball was used and then dynamite to finish off the job. I thought it so exciting at the time. The Mickey Mouse watch I bought that last evening is still with me. What a wonderful blog! I am a Tulsa girl as well, but was born in the 60's. So reading your memories is awesome. I worked in Southroads Mall as a teen in the late 70's. Great times there. I remember the fountains & Spencers gifts. Im 49. Enjoyed your blog. Grew up in Tulsa from 1953 to 2004. Had a men's clothing store in southroads mall in early to late 70's. Wish there were more pics of the inside. there are alot of good pics at tulsatvmemories.com - check it out. PS: 'Automatic Radio' was a brand name not a description. Known as AR. I am 51yrs old & consider myself a native Tulsan I grew up in the Cincinnati Hill/Suburban Acres area of Tulsa until the age of nine (1972) when my family moved to Inola Ok, I moved back to Tulsa after high school school & some college in 1987, when I was 24yrs old. 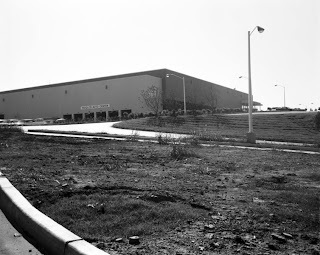 I remember so many wonderful things in Tulsa from the late 1960's to the late 1980's that are sadly all gone now. I remember Southland, Southroads Mall, the Southroads Twin theatre, the UA annex Mall & theatre, & Oshman's sporting goods store well. At Southland I remember seeing German Beatles albums at Jc penny's, Jc Penney's converting their sporting goods department into a Toy Departmemt every year at Christmas time, looking at the jukebox in the J.C Penny's Juniors Department while waiting on my mother & sisters who were buying back to school colthes, the Rebel Jeans kiosk at Frougs. my mother going to Cloth World & waiting in the car with my father who got on our C.B. Radio & tried to get the Goodyear Blimp (which was hovering nearby to write Happy Birthday John on their sign Board. Mall I remember At Southroads Woolco, Spensors Gifts, Walden Books,& the fountains, I also remember going to see Star Wars on thanksgiving Day night 1977 at the Southroads Twin when I was 13yrs old, When I was 19yrs old My Father taking me to Remberg's to buy me a Tweed Sport coat for college. I also remember going to the arcade next to Tousend's Top Shop at the UA Annex Mall. Lower level of Southroads, with Looboyle's, there used to be a mod clothing stores for teens and young adults. Hippy kind of stuff with tie dyed shirts, etc. Anyone remember the name? Do any of you recall the name of a 60's style mod clothing store in the lower level of Southroads that sold stuff like tie dyed shirts, etc.? Are you thinking of Another Point of View? Went to Lowell. Played at Crutchfield park like. Ponyboy lol. Does anyone remember Lakeview amusement park out by Mohaw? Koolees were made with Pepsi syrup, not Coke. So many good memories of growing up in Tulsa in the 70's and 80's! 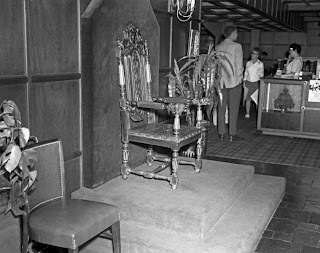 My mom loved shopping at Vandever's at Southroads Mall, then we'd have lunch at "The Golden Horse" restaurant upstairs. I believe they also had a candy counter. 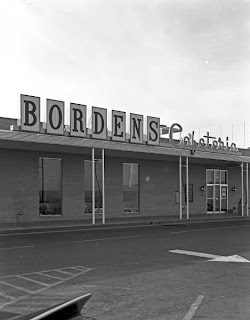 I also remember these stores at Southroads Mall: Wolfe Brothers, Streets, Extension-1, Renberg's, Another Point of View, Record Town, Woolco, then Sanger-Harris, Baker's Shoes, Nielson's Gifts, Ted's Pipe shop, Irene Herberts, B. Dalton Books, Picadilly Cafeteria, a nice men's clothing store(?) Spencer's Gifts, Looboyles. 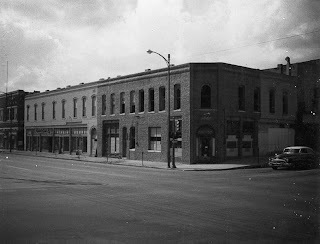 The Annex nearby had a movie theatre, arcade and Swenson's Ice Cream..and at Southland there were Brown-Dunkin, Penney's, Froug's, Reads, Angel Arbor children's clothing, Woolworth (with a lunch counter! 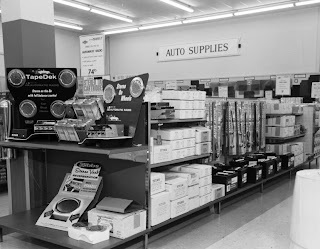 ), Clarke's Good Clothing, Stewarts, Cloth World, and Stebbin's card shop, maybe a Radio Shack. I think it was under Orbachs and was called the Manhole.